30 years ago today my Dad did something unknowingly that would go onto change the course of my life and for that matter my family. The 15th November 1975 was a Saturday and I remember it very well indeed. It was the first day my Dad took me to The Valley. God, I had been going on about for over a year. The 1974 World Cup was the catalyst for my love affair with football. Well over a year later I was still desperate to be taken to a game. In hindsight my Dad played me well. 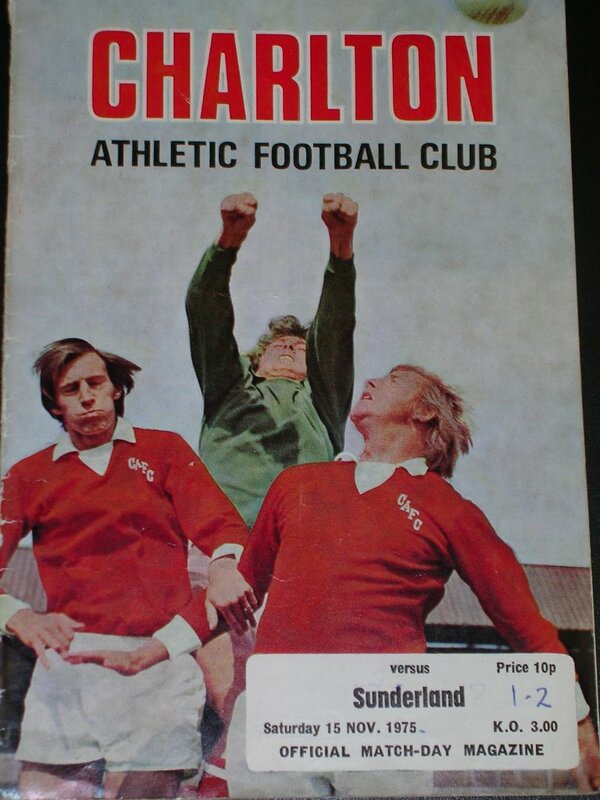 My ‘support’ of Man United was he decided a school ground fad, and he cleverly drew me into the Charlton web, slowly indoctrinating me to the team from afar and promising that one day he would take me to see them play. My Dad was a lapsed Addick, after he met my Mum he used work most Saturdays but following Charlton’s promotion from Division 3 the season before, he finally succumbed to temptation and a fair amount of nagging. I maintain to this day it wasn’t only me who was looking forward to that game like a 9-year old. We were home to table-topping Sunderland that day, who still had a number of players in their line-up from their historic 1973 FA Cup Final win over Leeds United (incidentally my first football memory). It wasn’t my first ever match, that was at Aldershot – fortunately The Recreation Ground didn’t grab me like The Valley. I remember that I had never seen so many people in one place (the attendance was 22,307), we stood on the south terrace (now the Jimmy Seed stand), there was a lot of red and white in the crowd (added too by a big Sunderland contingent), the Big Match camera’s were there with Brian Moore balanced on the East Terrace and that we lost 2-1 (Killer for us) but I didn’t care one iota and I was totally smitten. It was love at first sight. The programme is still a treasured possession and despite being only 20 pages (and costing 10p) it is a cache of information and history. In the Comments section, the editorial wrote that the club were increasing the price of admission for youngsters from 35p to 40p due the persistent running onto the pitch after matches! This would take effect at the next home game against Luton (we lost 5-1, typical Charlton, eh?). Sunderland’s team included Jim Montgomery, ‘Pop’ Robson, Bobby Kerr, Vic Halom, Bobby Moncur and FA Cup hero Ian Porterfield. 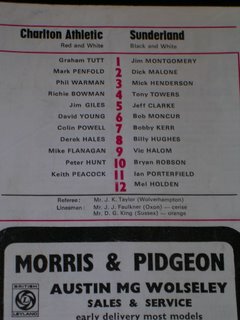 Our line up included the famous four of Hales, Flanagan, Powell & Peacock plus Graham Tutt, Mark Penfold, Jimmy Giles, Phil Warman, David Young, Richie Bowman and Peter Hunt. 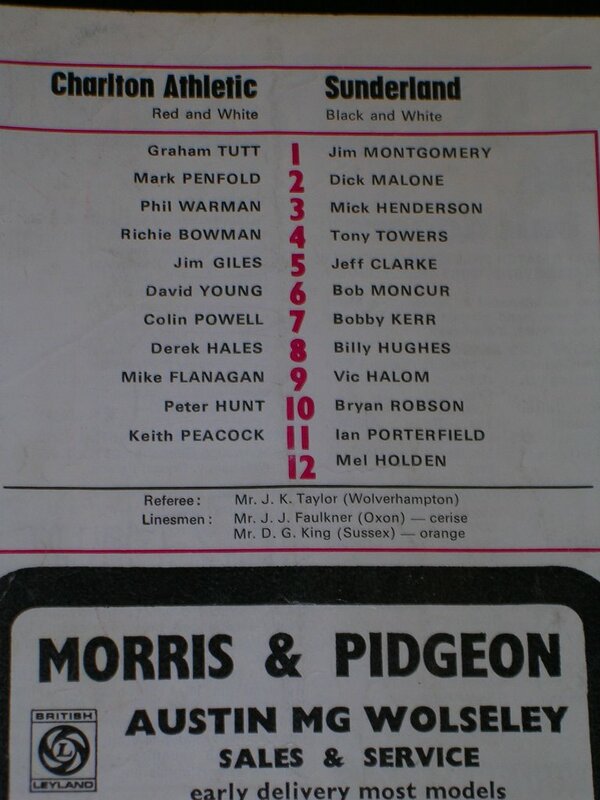 The programme listed a certain Derek Hales as the division’s top-goalscorer with 12. We were currently in 8th place behind leaders Sunderland and Bolton. Bristol Rovers were in 5th. Below us in the table were Chelsea (no Ruskie’s gazillions in those days), Nottingham Forest (soon to take Europe by storm), Orient (no Leyton in those days) and York City who were bottom. Our home attendances showed the fluctuations in our support. 8,000 against Oldham and Oxford in the league but then 16,000 against Southampton and 32,000 for the then 1st Division QPR in a League Cup replay (12,000 more than there were at Loftus Road in the first game). Echoes Across The Valley contained news of a ‘topping out’ ceremony for a new block of flats overlooking The Valley. Sam Bartram attended and Greenwich Council was expected to name some of the flats after him. 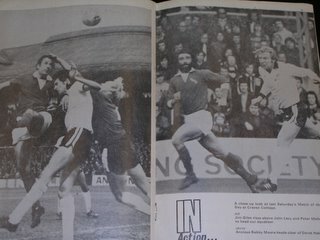 In the middle pages were black and white photos of the previous weekend’s clash against Fulham at Craven Cottage. On one side “Jimmy Giles rising above John Lacy and Peter Mellor to head our equalizer” in the 1-1 draw and the other a photo of “an anxious Bobby Moore heading clear of Derek Hales.” Wonderful.